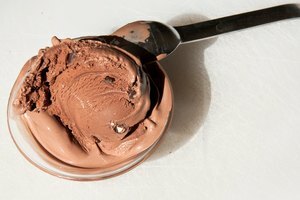 The biggest advantage that pudding-based ice cream has over classic ice cream is speed -- classic flavors are built into the mix, so no steeping or infusing is required. 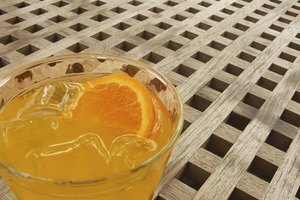 In addition, you don't need egg yolks, which means no cooking. Instant pudding mimics custard, the base of ice cream, with modified food starch. Modified food starch, the main ingredient in instant pudding after sugar, thickens ice cream through gelatinization, producing a velvety texture with a gelato-esque quality. Although food starch is a wonder ingredient, it can't mimic fat; you still have to add dairy fat to produce the supple consistency that puts the "cream" in ice cream. An ice-cream maker is optional. Combine 2 cups of whole milk and 1 cup of heavy cream in a mixing bowl. Whisk the pudding mix and powdered sugar and add it to the cream and sugar. 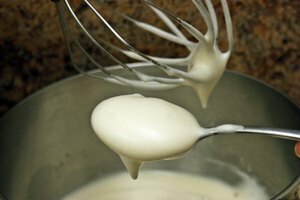 Whisk the milk, cream and pudding just until it starts to gelatinize, about 2 minutes when mixing by hand or 30 seconds when using an electric mixer at medium speed. Stir in 1 cup of heavy cream. Transfer the mixture to a deep dish and set it in the freezer. The dish should have a few inches of space on all sides. Freeze the ice cream for 45 minutes. Scrape the ice cream from the sides and bottom of the dish using a spatula and stir it. Break up any clumps. Freeze the ice cream for 30 minutes. Scrape the ice cream again and stir, breaking up the clumps. If you're going to add secondary ingredients, such as chopped chocolate or crushed cookies, do so now. Freeze and stir the ice cream in 30-minute increments for 3 hours. Mix pudding varieties to create signature flavors and add secondary ingredients to build on them. Use equal parts cherry and lime for a rickey-flavored ice cream or mix vanilla pudding with espresso powder to make a coffee-flavored ice cream. Mix 3 3/4 ounces of no-bake cheesecake mix with 1 packet of cherry pudding for cherry-cheesecake-flavored ice cream. Create your own take on the classic. Combine 1 package each of vanilla and cherry pudding and add 4 ounces each of fresh cherries and shaved fudged for ice cream inspired by Ben and Jerry's Cherry Garcia flavor. 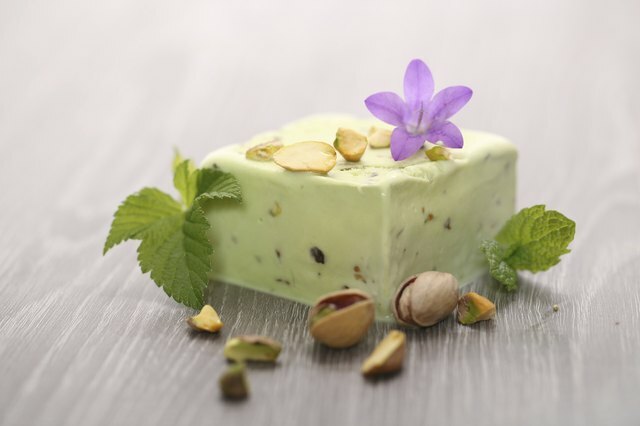 For pistachio ice cream, use 1 1/2 packages of pistachio pudding with 1/2 package of vanilla pudding and add chopped pistachios. Use 2 packages of vanilla pudding and 10 ounces of crushed Oreo cookies for cookies-and-cream ice cream. Use a stainless steel mixing bowl and chill it in the freezer for a few hours before making the ice cream to speed the freezing process. Also chill the dish you'll use to freeze the ice cream in. Substitute Greek yogurt for heavy cream and low-fat milk for whole milk to make pudding-based frozen yogurt. If you want to use an ice-cream maker, freeze the bowl overnight before you start, and follow the manufacturer's directions -- no changes to the recipe are necessary.